This guide provides quick access to examples and guidelines for some of the more frequently used citation styles. Select from the above tabs for assistance with APA, MLA, Chicago, or CSE style. More style options can be found with the "Additional Styles" tab. Always check first with your professor or editor to see if a particular style is required. 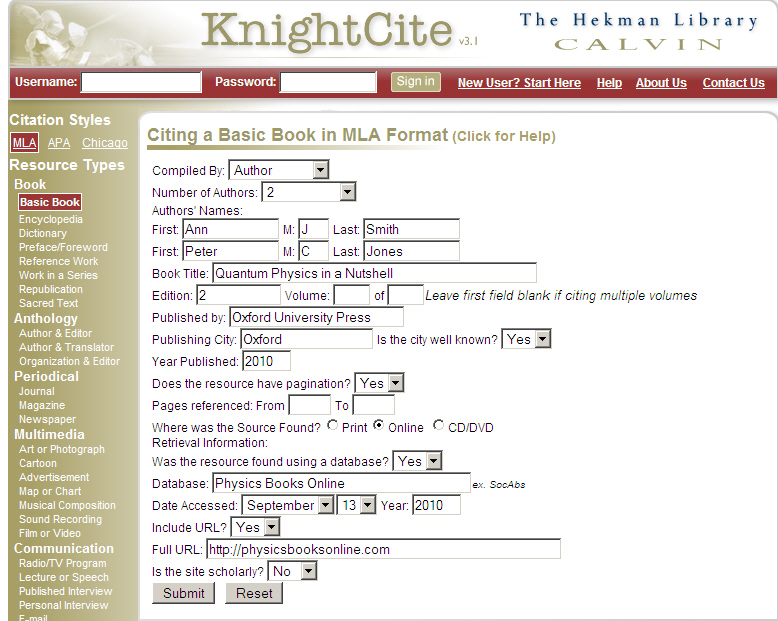 Try an online citation formatter like KnightCite to help you format your APA, MLA, and Chicago style citations. Just choose the type of reference you have and fill in the details. Always remember to double-check the formatted citation against your style guide just to be sure! 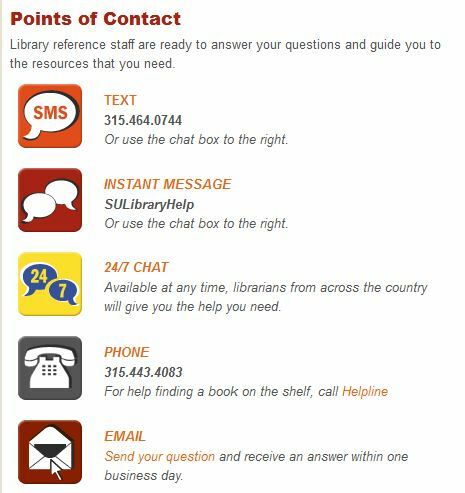 Help is available online, by phone, or in person.